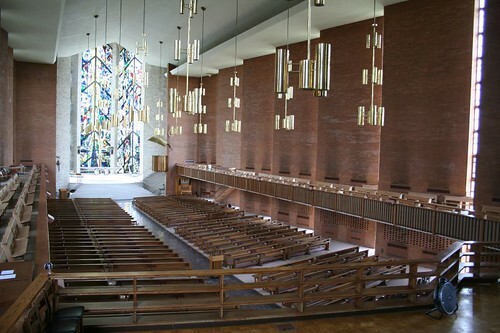 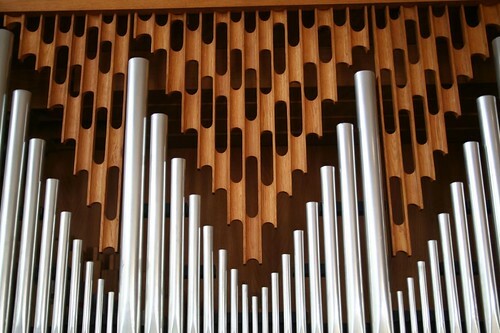 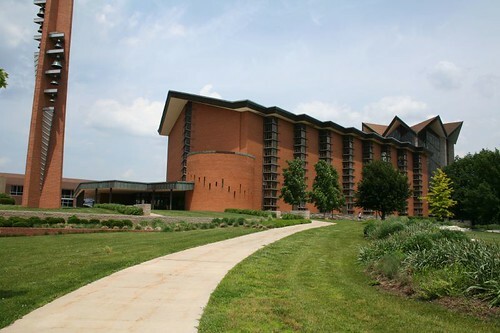 Begun in 1956, the chapel is the masterwork of prolific Modernist Charles E. Stade (1923-1993). 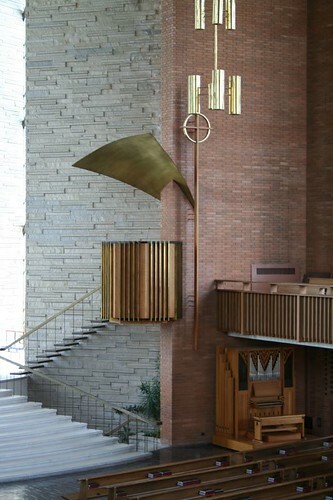 Stade’s practice was based in Park Ridge, Illinois, and produced hundreds of churches throughout Chicagoland and across the country. 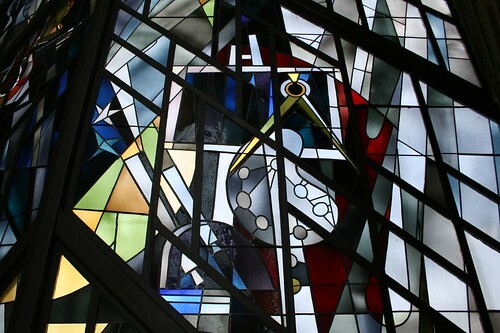 Locally, his numerous A-frame churches are easy to identify by their window walls of random colored cathedral glass; Immanuel Lutheran in Des Plaines is typical: modest but attractive, modern without extravegance. 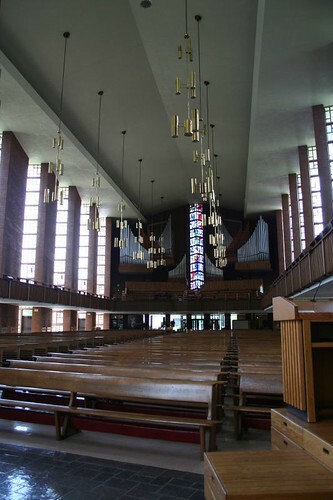 The chapel’s nave is the centerpiece, a towering cylinder of glass and light, rising nearly 100 feet to the top of its jagged roofline. 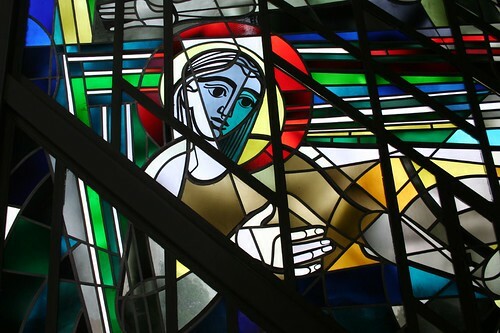 Stained glass figures and patterns descend from the top and disappear below the floor. 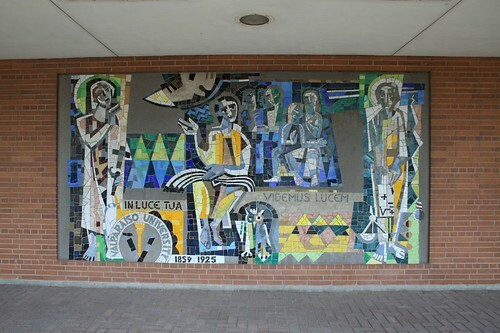 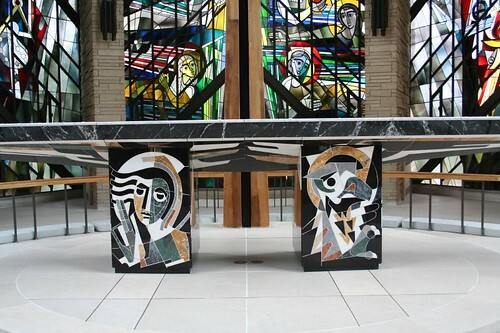 Their Cubist and Deco influences are echoed in the decoration of the altar table, as well as a mural near the chapel’s west entrance. 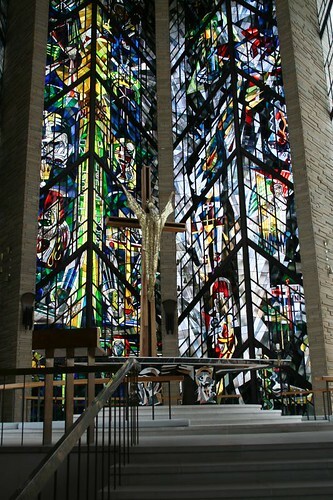 Known as the Munderloh Windows, the glass was designed by Peter Dohmen Studios of Minnesota, who presumably designed the matching altar decoration and an exterior mural as well. 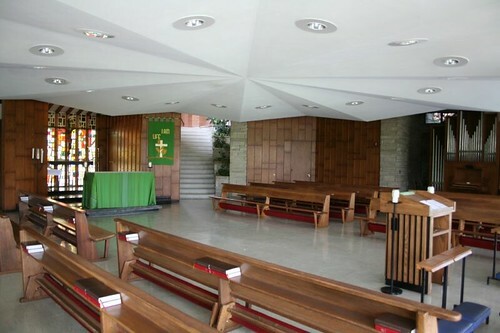 The nave and chancel are the main attractions, of course, but there’s more as well. 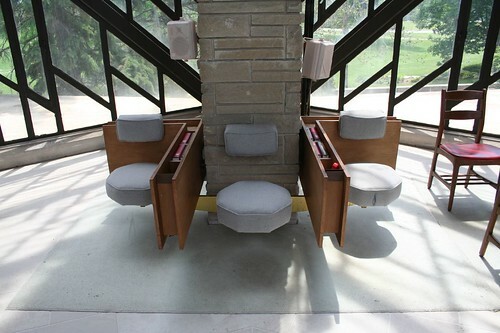 Below the chancel, a far smaller chapel coontains similar details on a more intimate scale. 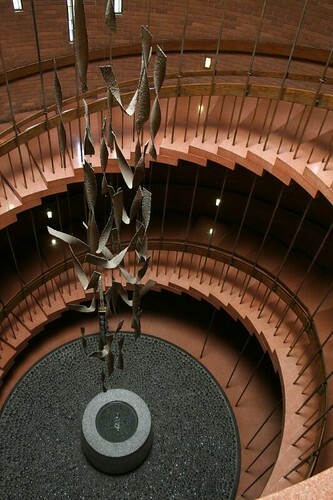 At the building’s west end, a circular stairwell doubles as a symbolic baptistry, with delicate sculpture pouring down toward a fountain at the bottom.